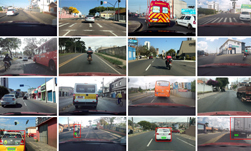 Researchers in Brazil developed a deep learning system that captures license plate data in real-time, resulting in better performance than most commercially available products in Brazil. License plate readers have the potential to eliminate toll booths, help monitor traffic conditions, track carpool lane usage, and even help find lost children or missing vehicles. Because of this, license plate detection has become a frequent topic of research. 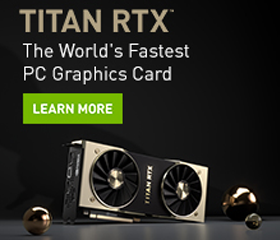 Using an NVIDIA TITAN X GPU, with the Darknet deep learning framework, the team trained their system on 4500 images of different vehicles, including cars, motorcycles, buses, and trucks. The researchers also used YOLO, an open source, real-time object detection system, that can quickly distinguish between vehicles, license plates, and license plate characters. The team said the images they captured included complex backgrounds and different lighting conditions. To help further the work in this field, the Brazilian researchers have made their data, which includes 4500 fully annotated images, available to academic researchers. “Many of the current solutions are still not robust in real-world situations, commonly depending on many constraints,” the team wrote in their research paper. “There is still a great demand for datasets with vehicles and license plate annotations,” the researchers explained. Although the system was evaluated on data exclusively from Brazil, the researchers believe their neural network is robust and can be implemented in any other country to capture license plate data.